The Square Parking Bracket from Hudson Reed, featuring a neat design the Hudson Reed square wall parking bracket has a high quality chrome finish that will stand the test of time. Q. Does this holder accept all makes of shower heads and hoses? 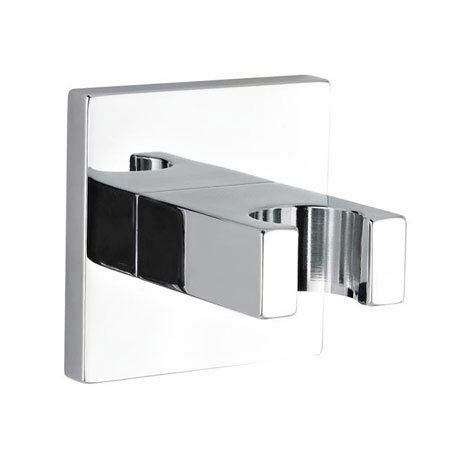 Hi Lee, this Wall Mounted Parking Bracket is designed to fit most shower heads. Thanks! Q. hi is this metal or plastic ? Not yet used but is excellent quality and will look great on the bathroom wall once we can find a shorter shower hose.